Who are The Listed Property Owners’ Club? 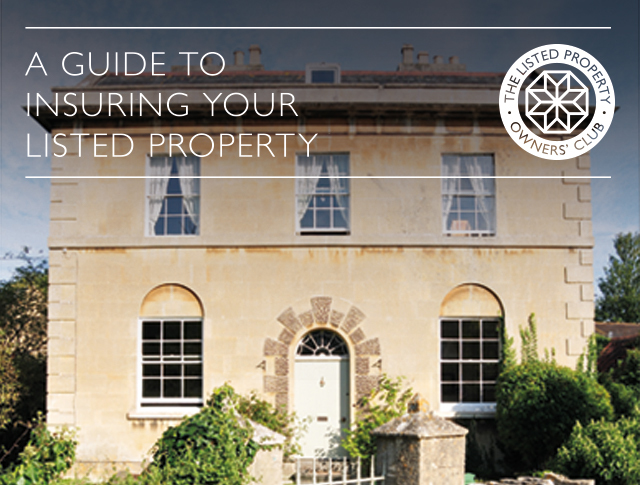 The Listed Property Owners’ Club (LPOC) is Britain’s only advice service dedicated to helping the owners of listed buildings. Established over twenty years ago, The Listed Property Owners’ Club is your essential resource for vital insider information, financial savings and advice, and peace of mind. Find out more here. I would like to speak to someone about this insurance but I am not available during your working hours – is there an out of hours service? Yes, please use our call back button and let us know when you would like to be called – we will do our very best to reach you at this time. How much cover do I need for my contents? How much cover do I need for my buildings? Can you insure listed buildings undergoing renovation, repair or conversion? Yes we can accommodate these. For buildings undergoing renovation, repair or conversation we will need specific details to correctly insure you, please call the team on 01795 844939 for more information. Can you insure holiday homes, rental properties and unusual properties? Yes we can accommodate these, together with commercial properties. Will my insurer always reinstate damage to my property with matching period materials as requested by the conservation officer? Yes, our insurers would. This is where our insurance differs from others you may find on comparison websites or general insurers. Will this insurance cover me for unapproved building changes made by the previous owners? Yes, most of our insurance policies will cover this free of charge when you take buildings cover, so long as you were not aware of the unauthorised work at the time of taking out insurance. What insurance factors do I need to bear in mind when buying a listed building? It is important to bear in mind a number of points such as the quality of the insurer and the cover provided, price should not always be the main factor. How repairs to your listed building are carried out is the most important factor, together with a willingness by the insurer to pay your potential claim. It is also vital to understand that any unauthorised work carried out to the property by previous owners will now become your responsibility if the conservation officer decides you must reinstate as per the original, and very few insurance providers out there will cover you for that – that’s where we come in. Yes you can and it is easy to set up. What details do I need to provide about my property for a quote? An accurate rebuilding figure is important, the insurance team can provide assistance in arranging for a professionally qualified surveyor to advise on correct rebuild figures. Is listed property insurance more expensive? Our insurance rates are no more expensive for period homes, however it is important to bear in mind that rebuilding costs for listed buildings are more expensive so this will mean slightly higher insurance premiums compared to modern houses or generic buildings policies. Can I get an instant quote online from you? Once we have received your details we then speak to a number of carefully selected specialist providers to ensure we gain you the best possible quote. Due to this careful process quotes can take up to 12 – 24 hours to be issued, but rest assured this is because we are taking our time to get it right for you at the best price. Can I find listed property insurance on comparison websites? Yes you can, however many comparison sites may say they can provide quotes, and then offer up an incredibly cheap deal. Be aware – if you look further into these quotes you will most likely find you are not correctly insured for your listed property and they may not cover the full cost of your rebuild to the conservation officer’s standards. With any insurance quotes you get, make sure you read the policy and check exactly what you will be insured for. Do not assume the cheapest price is the best deal for your property. For adequate listed property insurance you should be directed to specialists like ourselves where a detailed and correct quotation will be provided.